The release of the iOS 11 made it difficult to use Apple’s new HEIC file format as virtually all software are compatible with JPG images but not HEIC. HEIC converters vary as some can convert only single files while others can convert both single and bulk files. When searching online, you may find that the converter.asimkt.com ranks in the first page. But is it deserve trying? You should read this review before you try it. Converter.Asimkt.com is an online platform which is used to convert files from HEIC to JPG. It is free and straightforward to use. What you have to do is go to this website, and tap on SELECT A FILE to select a HEIC image. Tap CONVERT to start the conversion. Conversion will be done online without downloading any software to computer. It doesn't compromise the quality of converted files. Conversion is done online and the converted JPGs are stored in their cloud server first. There is no “delete” button to clear the photos from their cloud server. It’s not safe if you convert private photos. You have to download the encoded photos from cloud server to your computer. It only supports to convert HEIC one at a time. Batch conversion is not available. iMyFone HEIC Converter can be used to encode HEIC images to JPG without compromising the quality of the image. It can also be used to adjust the quality of the image. It’s most recommended as the conversation is done safely, which won’t lead to any privacy leak. Can covert HIEC photos one after the other and in bulk. Facilitate the conversion of HEIC images on a computer or in iOS 11 ( you don’t have to export HEIC photos to PC first). Can drag and drop HEIC files to the converter. Conversation is done locally, for which you don’t need to worry about privacy leak as online converter. Its converting speed is very fast that it will take 1s to convert each photo. Step 1: On your computer, launch iMyFone HEIC converter. Peradventure you want to convert your images in iPhone, connect your iPhone. Step 2: Select Convert Single Photos or Convert Photos in Batch. Tap “+” button and select the HEIC file and press Open. Step 3: Now you can view the image. Adjust the quality of the image and select a folder for converted JPGs, then tap Convert. This is an online website which offers a solution to the conversion of HIEC photos to JPG. All you have to do is visit the website on your internet browser. 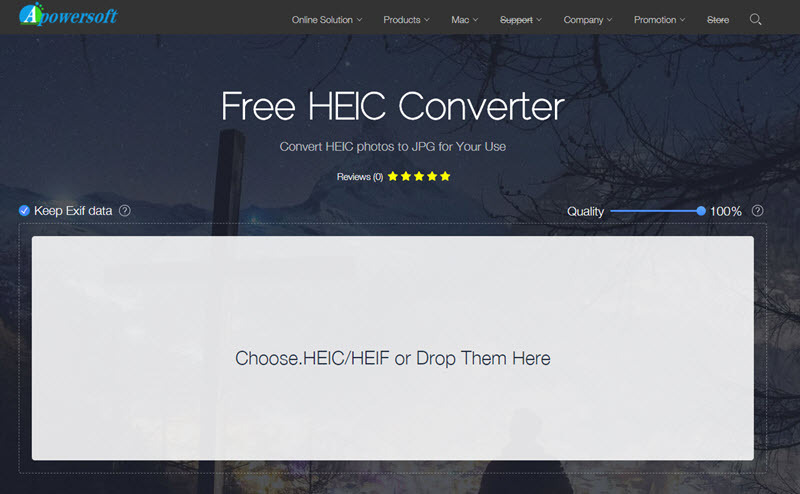 Select the HEIC image you want to convert, afterward, click the CONVERT button. Converted images are saved on their cloud server, which is not safe for yout private photos. The converting speed is faster than other online converter, that it need about 2.5s to convert a photo. But its speed to download converted files from cloud is slow that it will take 5s to download a photo less than 1MB. Its software application is only for Windows but not Mac. HEICtoJPG.com is an online encoder which can be used for the conversion of any HEIC image format to JPG, and it can be used conveniently. If you want to use this more covert to decode HEIC photos to JPG, visit the website and click on the URL or file button and choose the image(s) you want to convert. After selecting your image of choice, click on the CONVERT NOW button. It cannot convert HEIC images in your iOS 11 devices. The encoded images are stored in their Cloud server, and you have to download them from the Cloud. (In case you need privacy, it’s best not to use it). It does not give room for the adjustment of photo quality. It’s slow. 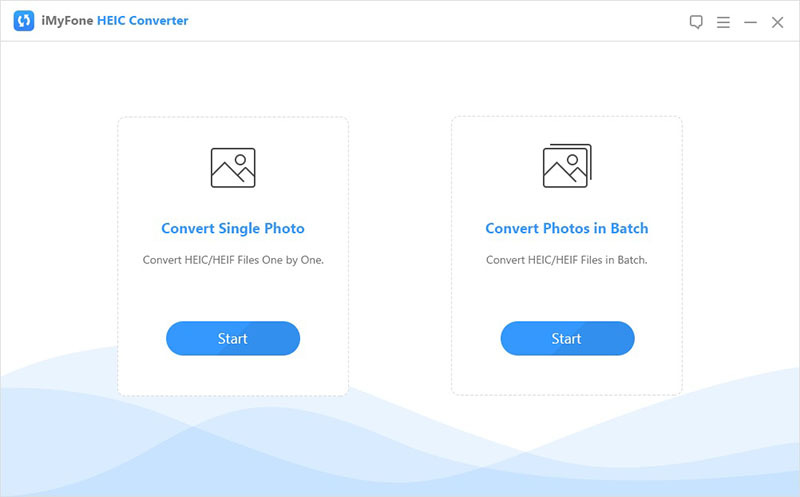 (A photo will take about 10s or even more to convert, not to mention download speed) If you convert HEIC in bulk, it’s easy that it will be stuck.